There may be some people that will disagree with this the title but the facts cannot be denied. Paul Anderson holds the record for the most weight ever lifted by a human being. 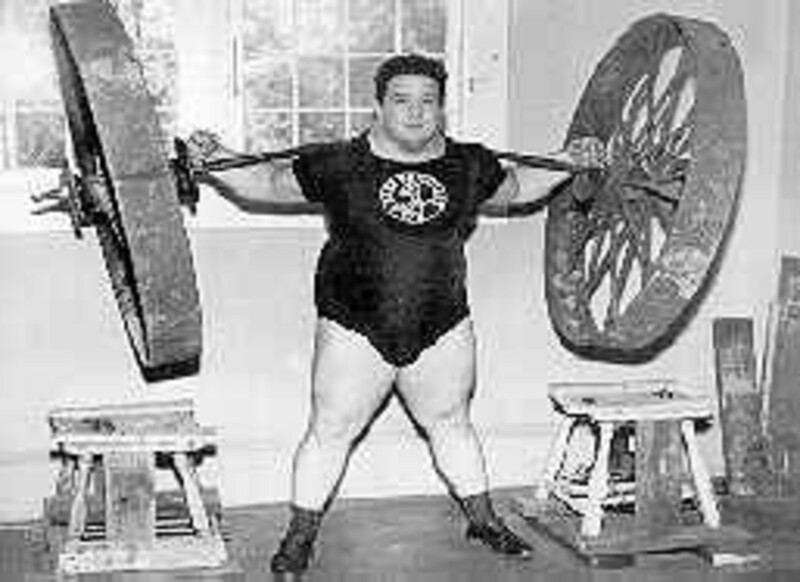 If you look in the Guinness book, you will see that Paul Anderson lifted 6,270 pounds with his legs and back in 1957. No one has ever, nor will probably ever top that feat. Not only was he amazingly strong, Paul Anderson has influenced many lives and made many peoples lives better. Paul Anderson was born in 1932 in Toccoa Georgia. At age 5 Paul was diagnoses with Bright’s disease. Bright’s disease was what kidney disease used to be called. That term hasn’t been used for quite some time. Paul’s parents were told that he couldn’t play outside and would likely be weak and frail all his life. Paul’s mom put him on a high protein diet, and made him push himself physically all through his childhood and teens. Paul played football in high school and went to Furman University on a football scholarship. He began experimenting with weightlifting and soon found that he could lift more than anyone else on the team, right from the start. Paul Anderson left college to pursue weight lifting. He had to make most of his training equipment, because there were no barbells or other equipment that offered enough weight for Paul to train with. He made bars out of tractor axels and wheels, and even used a huge safe on a special leather strap to do squats on a platform in his yard, just to be able to train with enough weight to get stronger. 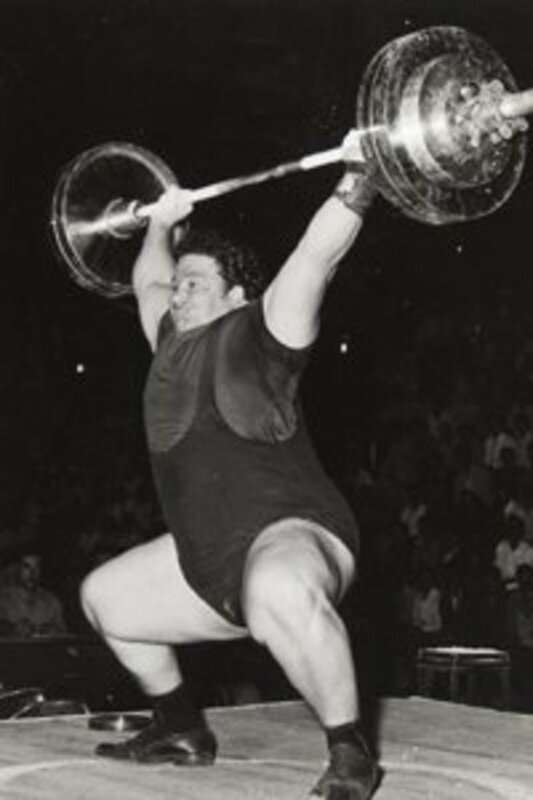 In 1955 Paul went to the Soviet Union, and won the world weightlifting championships by a huge margin. 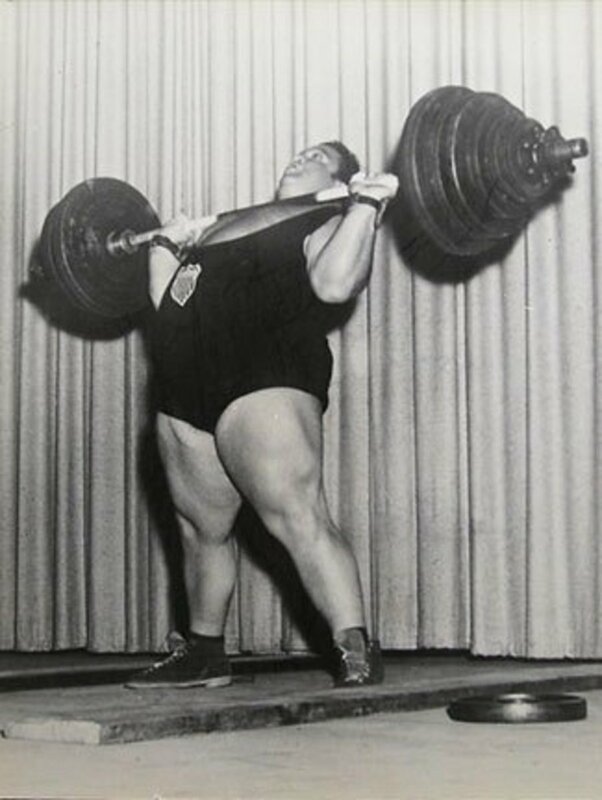 Paul Anderson was squatting 900 pounds for reps at exhibitions; the world record at the time was in the 650-pound range. Paul later squatted 1160 pounds at muscle beach before credible witnesses, and again before a national TV audience on the Ed Sullivan show. Paul was the first man to ever squat over 700 pounds. He was also the last American to win a gold medal in the super heavyweight division. The feat he holds the Guinness record for was lifting a table with people sitting on the table. He would get under the table, squat down and lift the table off of the floor with his back and legs. I was privileged to witness Paul performing one of these lifts. It was in the early 1970’s in Pittsburgh Pa. I was 11 or 12 years old and I went to a Fellowship of Christian athletes meeting with my father. Paul Anderson and Roger Stabach, former quarterback for the Dallas Cowboys were at the meeting. I was excited to see Stabach, he was a football superstar. When the meeting was over, I was much more impressed with Paul. Another of Paul’s demonstrations he would do is a one arm overhead press with a 300-pound dumbbell. Paul Anderson's feats of strength were amazing, his demonstrations were inspiring and watching him do these things made a big impression on me when I was growing up that I will never forget. We are a Christian ministry who disciples teens through our youth home and equips families nationally through our family STRONG resources and parenting events. After Paul won the gold medal in 1956 in Melbourne Australia, Paul spent the rest of his life doing demonstrations, and witnessing about Christ, and operating a youth home in Georgia to help young men straiten out their lives and be productive citizens. Read more about the youth home. Paul’s training methods were very unusual. He would do squats one day, training most of the day. He would do 1 set of 10 reps., then rest for 30 minutes. Do second set, and then rest another 30 minutes. He would do this for hours. Then the next day he would do the same thing with the bench press. Paul also drank about a gallon or milk every day. He was convinced that milk was very important in building muscle. Paul died in 1994 from Bright’s disease, or Kidney disease as it’s known now. He spent most of the last 30 years of his life running the youth home. His wife still runs the home that helps many young men that are in need of help. Paul was a man who overcame a major health problem and then went on to live his life to help others overcome major problems in their lives, and he continues to do that to this day with his youth home. Yes Samson was the strongest man of bible times but when the spirit of the lord comes upon you anything is possible!! I lived in Memphis in 2008 an I had 3 black guys try to rob we an take my car, the spirit of the lord was with me that day!!! Remember Paul Anderson did this before steroids entered the scene. He will always be the worlds strongest man. Anyone watched the videos? look at the appalling technique! I am the stronger man ever!!!! louis cyr was the strongest man ever. Paul Anderson was easily the World's strongest man period end of story. Most of the amazing things he did will likely never be equaled. It's true that God gave Sampson his great strength, no question about it and in all reality Sampson was the strongest man ever to have lived. You are right, Paul was a christian as am I, but Sampson was no ordinary man, he had Gods help to make him stronger than any other man. Samson was the most powerful man ever because God gave him supernatural strength. And being the "devout religious man" that Paul Anderson was, he would have also agreed with me. If you believe in Fairy tales, then Sampson was stronger than Paul Anderson but if you believe in what's REAL not B.S then you know Paul Anderson was the Worlds Strongest Man. My spouse and i employed to obtain high on life however lately We've accumulated the weight. In the book of Judges chapter 16 verse 3, it is recorded that Sampson picked up the entire city gates, the gates, bar and posts (plus he had to rip them out of the ground) and carried it them up into the hills about 20 miles, and we all know that those gates weighed A LOT more than 6270 pounds, Paul Anderson is the 2nd strongest man to ever live, Sampson certainly does "Take the cake" here, or the "gold medal"! The strongest man in the world that ever lived is hossein rezazadeh from iran with 580 pound clean/jerk,But hats off to paul,He was one of the most natural strong man that ever lived. This is a very nice tribute hub!